RFP's and the sad state of climate science funding | Watts Up With That? From the “more study is needed” department and Dr. Roger Pielke Senior, it seems that the RFP (request for proposal) might be one of the biggest problems with climate science today, as some read like recipes. He posted this article today, which I share in entirety here. Carlson, T. N, 2010: Science by Proxy. The Chronicle for Higher Education. October 17 201o. “The agencies are also at fault. They are bureaucracies that promote top-down science to suit political and administrative ends. To begin with, there is the application process itself. Often, an agency’s request for proposal, or RFP, reads like a legal document, constricting the applicant to stay within very narrow and conventional bounds, with no profound scientific questions posed at all. 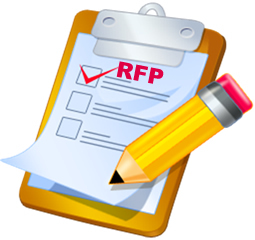 Many RFP’s are so overly specific that they amount to little more than work for hire. Those who know how to play the game simply reply to RFP’s with parroted responses that echo the language in the proposal, in efforts to convince the reviewers that their programs exactly fit the conditions of the RFP. Thus many RFP’s inhibit good research rather than encourage it. Program managers—who are even further removed from the forefront of their fields than overburdened principal investigators—also favor large, splashy research projects with plenty of crowd appeal, like fancy Web sites that look impressive but that no one actually uses. In other words, useless science. I would like to suggest an alternate approach to addressing this crisis. One approach would be to award a sum of money based on the score received from the reviewers. This would insure that all but the poorest proposals would receive some funding. Another suggestion is more radical. For this, we need not be fixated on the numbers here, as expediting the idea would entail a thorough cost analysis of funds available from institutions and the numbers of potential recipients of that funding. I believe that were funding agencies to collaborate by agreeing to award each faculty member a nominal sum of money each year (let’s say $20,000) plus one graduate student, subject to a very short proposal justifying the research and citing papers published, the total amount of money handed out would be far less than at present and the time spent in fruitless chasing after funds reduced considerably. Importantly, the productivity and creativity of the scientist would increase and the burden placed on reviewers of papers and proposals and on editors of journals would decrease. The proposal submitted by the scientist to the funding agency would be very short (e.g., one page), and be subjected to a nominal review and a pass/fail criterion: does this proposal seem worthwhile? The level of subsistence would be set low enough to eliminate greed (or complacency on the part of the recipient), high enough to allow scientists adequate funds to carry on a viable research program free of financial stresses. The allotment would also be set sufficiently low as to insure that funding agencies have sufficient money left over for some larger programs. The latter would be funded by the submission of conventional proposals, subject to the current review process, except that the research would be initiated from the working scientist rather than the funding agency. In other words, bottom up science. The atmosphere being created by the present system in academic science is joyless. Good scientific research requires dedication, patience, and enthusiasm and a high degree of passion for the chosen subject. Overhearing conversations in the corridors of my own institution, I am struck by the fact that the topics are almost always related to proposal writing and funding and not to scientific ideas. Where is the inspiration; where is the passion? Toby’s recommendation is excellent, and should be encouraged. With respect to NSF funding in climate science, the current focus on funding multi-decadal climate predictions by the NSF fits with his characterization that they ”are bureaucracies that promote top-down science to suit political and administrative ends“. ← "…it would be a mistake to blame climate change for a seeming increase in tornadoes"
I am shocked… utterly shocked.. to learn that politics has become involved in climate science research funding. Who could ever have imagined ti? “Climate change” is all about politics. Look up UN Agenda 21. AMSU site has been down 24 hrs anybody know why? Maybe tornadoes? What else would you expect from an organization that funds itself through theft? Governments exist to enable the ruling class to loot the people without the people fighting back. If you think of the government as a mafia that’s seized a monopoly on violence and the legislative process, suddenly everything it does makes sense. I feel that is too late and the only way to correct the nonscience of today is withdraw all public funding. Government is the problem and cannot self correct nor be sensibly modified in any reasonable time.Cheaper and cleaner to scrap this mess of govt expertise and start again. We have two or three generations of rent seekers to wean off the public purse, genuine govt certified experts one and all and functionally useless to me John Taxpayer. He who pays the piper……………. I chose the wrong field….. Yes we lie, no you can’t verify most of what we do, and yes we’re on the government teat…. Quem deus perdere vult, dementat prius. Even top secret pentagon programs have to show results. If they don’t, people with stars on their uniform get very angry and people lose funding. Climate science seems to be able to hide data *and* keep getting rewarded for failure. I’ve read little about the man, I plan to change that. As soon as you encounter the word ROBUST in any governmental context you know you’re being flimflammed. I strongly support the revamping of the way we spend money on science. I don’t know the best way to fix it, but it is definitely broken. I’m partial to the “X-Prize” approach, where we set a carefully designed technical goal and award big bucks if you can do it. First gather the experts and determine the “choke points” for a variety of energy sources, the technical problems that make them uneconomic for energy production. Offer prizes for showing an economical way past that problem. it’s called the IPCC currently, shall we change the name ?? In order to get funding, you have to tell them what you’re going to find before you even start looking for it. If you stray from the plan (e.g. data leads you elsewhere): No funding next round. But there’s no easy fix — i.e. change the system and you’ll just get different problems. This is the nature of complex systems. The corruption will just change flavor and we’ll still have my first 2 sentences. One solution: Don’t be dependent on mainstream funding sources. Freedom. Mark Luedtke and JRR Canada, very well said. Except in a very few areas (foreign affairs, domestic law & order), government isn’t the solution, it’s the problem. We just witnessed Lisa Jackson create her own scientific dogma with a few strokes of the pen, calling CO2 a poisonous gas. Funded Climate Science Institutions did nothing to correct her unfounded claim. Isn’t this describing the rise of the Idiocracy? Anyone seen the movie Brazil? The problem is this top down approach, that some of us have been warning about for years now, is catching up with reality. That reality is this is not science but a failed application of engineering and technology methodology to and process that wouldn’t recognize an absolute under any conditions. It can not be call science, it is not science it is nothing but religious ideology. I don’t know the best method of state funding science although I am drawn to the idea of ceasing to do so at all. But to me it seems self evident that if funding was absolutely random (decided by a monkey spinning a roulette wheel?) it would be much more likely to yield at least some honest and worthwhile science than the present system, which makes the way the Mafia operates look like a model of rational probity. As Rhoda Ramirez asks, it would be helpful if you could provide accessible, verifiable sources and dates for the statements that you quote. I would like to provide evidence to a university physics professor that AGW is promoted by political activism. Any evidence that I have provide is dismissed, rather patronisingly, on the basis that I am not a physicist and don’t understand these matters which should be left to the experts. 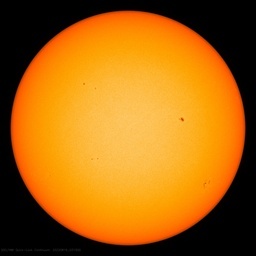 As far as he is concerned, if The Royal Society says that AGW is occurring, then it is so. The key word is ‘accountability’. Throw the scientists into an open, competitive society, where the ones who eat well are the ones who advance the science. You know, a bit like a business enterprise that can shop around for skills and can hire and fire. Institutions like Universities do have a place, but that place is best used only when collective effort trumps the individual. Like building an operating a supercollider for particle research, or a supercomputer too expensive for a single corporation. As well as that magic word ‘accountability’, there is another world where pure research is conducted; but pure research should seldom form the basis of policy decisions for the larger world. First, the ideas from pure research have to be validated by applied research, and surprise – corporations can be quite good at that also. There are simply too many ivory towers, especially in USA. As others have alluded to, this is not a problem specific to Climate Science. I’ve been involved in some multi-year EU-funded research in another field, and have helped write a few such proposals. It’s striking that what the proposals describe are only to a very small degree actual research; most of it is government-funded product development with a fairly detailed schedule, budget and dissemination plan. Since you basically have to describe in detail what you will discover before you even get the funds to start looking, you have to be quite careful not to introduce too much uncertainty. The current Swedish government recently decided that they would fund some of the most accomplished research teams just to do good science. This was heavily criticized by one professor because only 1 in 20 funded researchers was female… He did also raise the point that many of these researchers were past their prime, and didn’t really produce top science anymore. Given that research is not like gymnastics (where you are ‘spent’ at the age of 20), I couldn’t help thinking that perhaps it’s the mainstream research funding process that has taken the edge off of even the best of our researchers. Maybe it’s the years of spending half their time chasing funding rather than doing world-class research that has ruined them? If so, the program may still be a step in the right direction. I agree with the sentiments of this posting but I have a different take on the cause of the problem. I sat on a number of UK university and Industry grant committees between 1970 and 2005 and therefore experienced, first hand, the sea change in funding that took place. Some may like to argue that the current problem is caused by more government but in my opinion the cause was an attempt to remove government. By far the biggest change took place in the Thatcher years during which the idea of targetted research and greater financial justification ( largely interpreted as commercial backing ) replaced the historical bottom up approach. As time went on I saw the decline in the quality of proposals as survival for University research rested on becoming little more than a technical sub contractor to industry. University heads of department focused on sales and marketing and government itself focused on establishing the framework of funding based on perceived national need. Laudable maybe but science got lost somewhere in the process. Universities took the safe option of filling in the forms and saying what the system wanted to hear and governemnt turned the flavour of the month into grand programmes that reinforced the concensus and stifled risk and innovation. There were problems before these changes since many university posts had become self perpetuating and sterile. I am not looking backwards and saying things were so much better then. The problem is that this solution has not worked. There is a place for government. As a citizen I want to pay taxes so that money can be invested in science for the collective good. I do not trust business to always do this effectively and efficiently. Precompetitive research is the issue here. It is too expensive for any company to undertake alone. One could argue that it is even too expensive and for any one country to fund it all. Coversely it is too wasteful for every country to fund the same “hot” topics for fear of being left behind. I offer no better suggestion than Toby’s but something has to change. Climate science is a “cancer” that has grown as a consequence of poor health. Like any cancer the best way to stop it is to remove the causes. I agree. I have stated before that the trouble with science in general, not just climate science, is the way it is funded centrally. It started with the US and has spread all over as a model. It is a grave mistake. Centralized science attracts bureaucrats who seek control over science and scientists,many of them scientists manque, who could not make it as researchers. They decide directions, choose the committees that decide the funding and flood researchers with forms to be filled continuously. The sorry mess of climate science is a precursor of what will happen when countries use the Lysenko model: ” I know the result, you prove it to me”. It is an insidious process, that could not happen in an open competitive environment: the subliminal push in the direction desired. Why should mature productive scientists spend half of their time filling forms and chasing after money ( and maybe connections that will lead to money) to fund the research of the group instead of using creativity to get scientific results? It has come to be that the normal hierarchy of academic institutions has become a hierarchy of “who brings most money to the institute” , he is a good scientist, and we end up with Mann et al. I believe we should go back into funding institutions, not researchers. The university/institute should apply for funds, stating the directions its researchers work, the amount of peer review publications coming out of research , without entering details, and be awarded a lump sum to be divided by the internal processes of each institute. Even the ensuing internal dog fights will help in competitiveness because in no way one line of research will become uniform in all institutes. There will be healthy competition and schools of thought could bloom, which is the way science went forward the past two centuries or so. …Akin to, and largely responsible for the sweeping changes in our industrial-military posture, has been the technological revolution during recent decades. In this revolution, research has become central; it also becomes more formalized, complex, and costly. A steadily increasing share is conducted for, by, or at the direction of, the Federal government. The link doesn’t appear to work . Could someone fix ? Thanks . Surely this goes deeply to the question RichardLindzen posed a few years ago: is climate science today designed to answer questions? The implied answer, no. This confirms what Richard argues – climate science is corrupt. Having in the past worked in the US Dept Energy labs and looking at RFPs and serving on review panels, I can say that often the environmental ones have a spin toward finding harm. The RFP does not say “a study of climate” but “harmful impacts of climate change”. A recent one from USDA on southern forests (how to manage forests to sequester carbon, save water, etc) included creation of propaganda pamphlets and meetings with stakeholders to convince them to change their behaviors toward conserving x y z. Not only must we question why a research proposal includes propaganda, but the propaganda creation was to begin at the same time as the research–ie before conducting the study! This is not the same as writing a brochure on how much weight your cows will gain on various feed mixtures, it involves values and highly speculative futures. Now let’s see if I have this correct. Our climate predictions are wrong because we don’t take clouds into account in the models (properly). If we do take clouds into account (properly), the whole damn thing becomes so complicated that we can’t predict climate properly. Gee whizz ! whodathunk that the whole system would be so chaotic, that it is impossible to predict. Mother Gaia knows what the climate is at all times; she never gets it wrong. Mother Gaia does NOT make predictions about climate; it’s too chaotic. Those who know how to play the game simply reply to RFP’s with parroted responses that echo the language in the proposal, in efforts to convince the reviewers that their programs exactly fit the conditions of the RFP. Thus many RFP’s inhibit good research rather than encourage it. Yup, that’s the way the game is played. I prefer to chase corporate money, which is much more focused on fixing stuff/solving problems vs. political drivers. Of course, that makes me quite the enemy in the eyes of fellow (socialist) faculty around here. For Don R Rhoda Ramirez and P Walker as greg2213 has said they are available on the ‘net. Use your favorite search engine and put in a chunk or all of the text in quotes and the author’s surname – and dependent on the search engine there will be several hits with both the source / attribution of the quotes and discussions of them. It may be worth noting that policies on this front were a bit different back in the early 1960s when DARPA (then ARPA) was new. They routinely reserved 10% of each contract award to be spent at the discretion of the Principle Investigator. That 10% was *intended* to be spent on other research, often utterly *unrelated* to the awarded research contract. The idea was that smart people have good ideas that are worth pursuing, and that many such ideas come up in the middle of working on something else. Thus, the 10% reserve. Sometimes it got used to fund things like a grad-student’s bright idea, or the cool new topic that just arose last week during the research group meeting. In other cases, that reserve would be used for the equipment you didn’t know you’d need until half-way through the project, or other issues that arose. As far as I can tell, DARPA doesn’t do that any more, which seems rather a pity. Do any of you know when that idea fell by the wayside? Aside for those unfamiliar with US Gov’t alphabet soup: DARPA is the Defense Advanced Research Projects Agency. It’s the largest single funder of research in the US (at least for non-medical research); waaay bigger than the National Science Foundation. Even though it says “Defense” in the label, they fund all sorts of stuff that would appear to have little to do with the Department of Defense. Just plug the quote into Google/Bing & you should get results. It’s worked for me in the past. Good luck with changing your prof’s mind, though. By the same reasoning, then, he should reject Humason’s contributions to science, since Humason was only a janitor, and a high-school dropout at that. I just figured that since the Null Hypothesis is now flipped, all the AGW research funding was drying up and now being funneled to the “deniers” to prove their side… I guess it’s a broader “problem” than that. You state ‘ by the same reasoning’. However, I have concluded that his idea of reasoning and mine are worlds apart. Thanks everyone for the sources. I’ll ‘drip feed ‘ them to him at the rate of about two each week. I civil servant at a US Govt agency research center. We worked to advance Science in certain areas assigned to our agency. Some research was “in house”. Much was via RFPs. When we put out an RFP, we left a lot to the imagination of the outside organizations. Basically, we asked for the best ideas — no politics. Unfortunately, a large minority of responses were “garbage”. In too many cases, a Professor with little knowledge of our field sat down one afternoon with the grad students and “brainstormed” a proposal. Kind of like buying a lottery ticket. They spent a few “cheap” hours and hoped to hit a jackpot by tricking us into thinking they had a viable plan. So, it is true, that if one is looking for a “certain response” or if one’s agency has a known bias — and the responders know it — one will be sure to get the desired response — good science or not — sincere or not. At least, in my experience.